Dig into the luscious North Indian and South India cuisines which are served here at Jamavar. 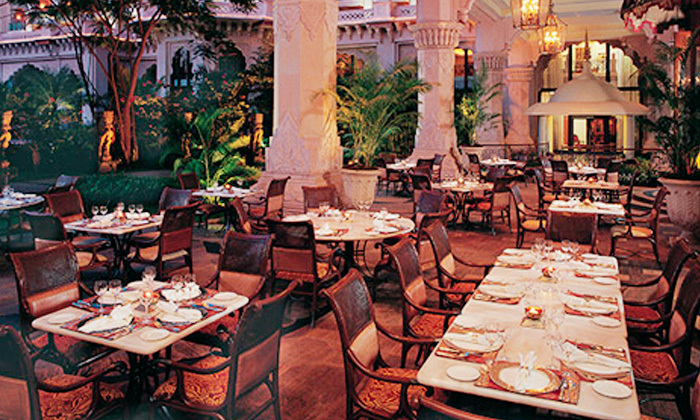 Located within the premises of The Leela Palace, the place has a setting which is charming in its own way. The ambiance is also royal and the interiors are well-furnished. The décor is bright with cool lighting arrangements. The seating arrangements are also lavish. You can also unwind with the domestic, imported, mixed, brewed, red and white drinks which are served here. You can choose to sit in the breezy outdoors or the grand indoors. A meal here will surely be an experience to remember!